Lovin' Lyrics Music Promotions: TAKE A LISTEN: "SHAKE IT OFF" - ASH BOWERS - KEEP REQUESTING! 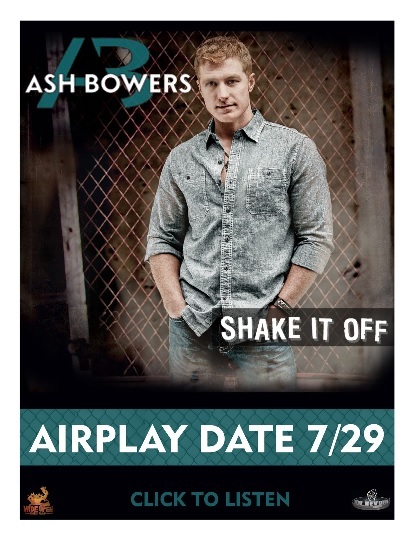 TAKE A LISTEN: "SHAKE IT OFF" - ASH BOWERS - KEEP REQUESTING! If you haven't heard of Ash Bowers, get ready because he's about to take the Florida Georgia Line express lane to the top of the charts. He already made a big impact with his debut single, "Red". Now he's back for more with "Shake It Off" and fans are ALL OVER IT. If you haven't heard the song (currently featured on Sirius XM's "The Highway"), you can take a listen here. The cd is available now on iTunes and Amazon and well worth the purchase. Check out Ash online at www.ashbowers.com and follow him on Twitter at @AshWBowers.